Greg, do you know if the tester in the photo above is Polar White or designo Diamond White? Looks like Polar to me. I've had both as well and the one major difference for me is Polar While is like iron - ZERO stone chips after almost 3 years while Diamond White over the four years I had it did not wear well and had countless small stone chips on the front end. I am amazed by the durability of the Polar White in comparison. I worry about matching the pearl finish for accident repair. I bought the two stage touch up pens from the dealer but repairs looked horrible (to me). Polar white on current GLE needs zero repair and I am driving a lot of dirt roads, highway driving, etc. As expected, with USA debut Friday in LA, pricing is out. A couple takeaways: 1) 450 is more expensive than I was expecting/hoping - $62,145 with delivery, with 350 4MATIC about $5k less; 2) 450 available Spring 2019, which may mean we won't see any before late March, even though my car is supposed to be built early February. 350 comes in Summer. Pricing is roughly on par with the X5 now. This is not yet on the MBUSA website. My updated pricing spreadsheet is attached. Last edited by GregW / Oregon; 11-28-2018 at 06:12 PM. As expected, with USA debut Friday in LA, pricing is out. A couple takeaways: 1) 450 is more expensive than I was expecting/hoping - $62,145 with delivery, with 350 4MATIC about $5k less; 2) 450 available Spring 2019, which may mean we won't see any before late March, even though my car is supposed to be built early February. 350 comes in Summer. 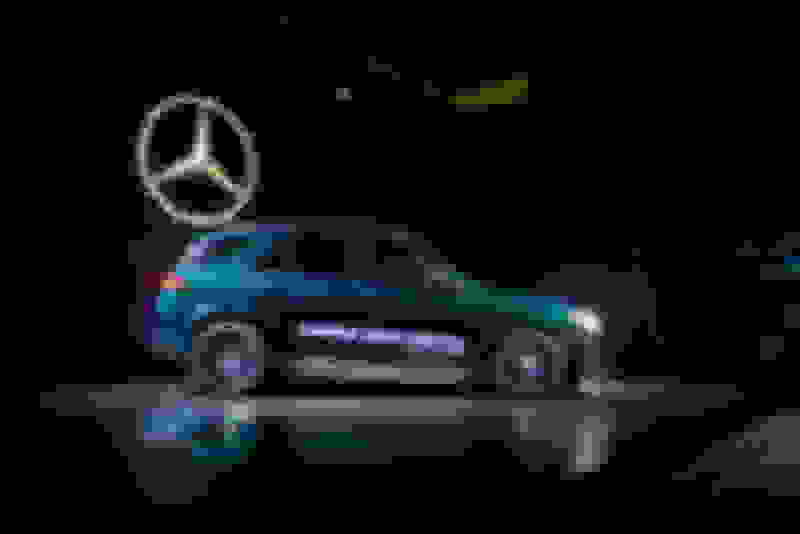 This is not yet on the MBUSA website. Interesting they're calling the 350 a 350. It's the same engine as the 2019 C300. On the E300, it's simply underpowered. We already traded our 2018 E300 in for a 2019 E450. 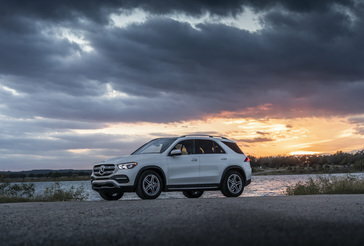 Fully optioned, these GLE's with the 450 are going to be pretty pricey. 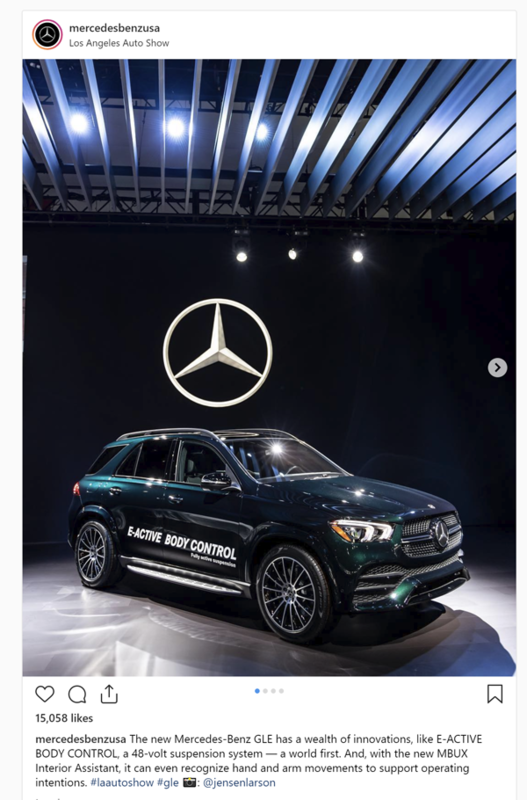 Is there any info on when the GLE is scheduled for the pre Auto Show reveal to the press? I saw a few happened yesterday. Never mind I see it happened today. Last edited by Ron.s; 11-28-2018 at 06:14 PM. Done and updated. Price adjusted. This happened 11/14-17; not sure about individual manufacturer releases: "ANSA Productions, owners and operators of the Los Angeles Auto Show (LA Auto Show®), today announced that they are combining LA Auto Show Press and Trade Days with their four-year-old auto-tech conference, Connected Car Expo (CCE), to form the four-day pre-show event, AutoMobility LA. " Last edited by JoeMa; 11-29-2018 at 09:39 AM. What upholstery color is that? Hard to tell with weird lighting. How do you guys perceive this package? U19 Augmented video is available standalone, but not 463 Head-Up Display. I will probably get it just for 463 because I like the one in my M4; the other two features I could do without. It's €1,450 (w/o VAT) in Germany, so price likely close to that in US$. I think it's the MB-Tex Espresso Brown but the "weird lighting" makes it look black when he moves to the second row. I'm with Greg, I also what Head-Up and the DA0–MBUX Technology Package is currently the only way to get it in the US. I have the entire Pkg in my current build but the more I think about I wonder how much value it really has over the long term. I've never had had a car that had HUD and wonder if I'll just turn it off after a few days /weeks...same for the "Interior Assistant"
I’m probably in the minority but can live without the HUD. They are all a little different but I still find myself looking at the display more than HUD. The posted vs actual speed is the feature I find most useful since I have a tendency to speed. I’ll get it again and try to use it more....just hard to change habits. I'm looking to configure one today, does anyone know if the GLE 450 comes with the airmatic suspension standard? Thanks! "That does buy you quite a lot of nice things, however, including a 48-volt hybrid assist motor, a slick new nine-speed transmission, standard air suspension (with the option of the sophisticated E-Body Control system)"
Last edited by detailz0; 11-29-2018 at 11:49 AM. It doesn’t but you might find it helpful to look back a few posts to Greg’s spreadsheet that will answer a lot of questions. Not sure if everyone saw this ordering guide I am attaching. Good to have someone new here! Yes, we have attached that guide to multiple posts starting with #884 on 11/5 (I know this is a long thread). That article is incorrect about Airmatic as standard, and also, the 350 will not be available until Summer. Last edited by GregW / Oregon; 11-29-2018 at 12:46 PM.